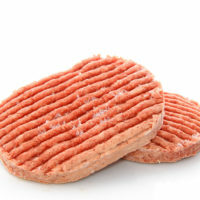 A unit of the world’s largest meat processor recently recalled almost 100,000 pounds of ground beef after one batch was found by inspectors to contain traces of the E. coli bacteria. JBS USA provides beef that is sold in restaurants and supermarkets across the United States, including in Washington and Oregon. The JSB ground beef recall was the second in as many months after the company recalled 6.9 million pounds of beef in connection with a salmonella outbreak affecting 25 states across the country. Anyone who became sick as a result of the defective food products can bring a lawsuit against JBS USA and/or the subsidiary, Swift Beef, that issued the recall, for any injuries caused. Swift Beef Co., a subsidiary of JBS USA, recently recalled 99,260 pounds of ground beef that may be contaminated with E. coli. According to an announcement from the Food Safety and Inspection Service (FSIS), a division of the U.S. Department of Agriculture, the problem was discovered in November after FSIS officials found a ground beef sample that tested positive for E. coli. The officials visited a processing establishment and determined that the supplier of the beef was Swift Beef. The products being recalled were produced on October 24, 2018. Four of the five products being recalled are 8-10 lb plastic wrapped chubs of “blue ribbon BEEF,” while the fifth includes 2,000 lb bulk pallets of Swift Ground Beef Fine Grind Combo sent to wholesalers. The products subject to the recall include the establishment number “EST. 628” inside the USDA mark of inspection on the packaging. In October 2018, JBS recalled 6.9 million pounds of beef in connection with a salmonella outbreak that affected at least 200 people across 25 states. According to the FSIS, E. coli is a potentially deadly bacterium that can cause dehydration, bloody diarrhea and abdominal cramps for up to 8 days after exposure to the organism. In some cases, particularly where the victims were young children or of advanced age, exposure to the bacteria can cause kidney failure. Symptoms of kidney failure include easy bruising, pallor, and decreased urine output. Anyone exposed to the contaminated products, especially if they are experiencing these symptoms, should immediately seek medical attention. If you or a loved one has been injured by a contaminated food product or other defective product, it’s important to talk to an experienced personal injury attorney familiar with the state law governing your claim. In Vancouver, Portland, or throughout Oregon or Washington State, contact John Lutgens, Attorney at Law, for a free initial consultation.